Oh man. We absolutely need one of these in Cosworth trim. There is literally no doubt about that. 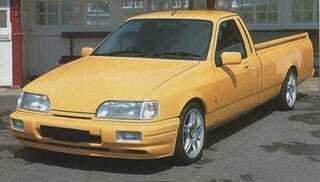 Or what about an XR4ti version with Merkur and Ranchero badges? Mind. Boggling. Now.